Convert MKV files to AVI online for free now. How to Convert MKV to AVI Online? Select AVI as the output format you want to convert MKV file(s) to. Click DOWNLOAD to save your converted AVI file(s). Step 1: Launch Wondershare MKV to AVI converter and add MKV files. Get the MKV to AVI converter free download full version and install it. Open the program on your PC which will land you on its Convert section by default. Select +Add Files to browse and add MKV files on your PC. You can simply drag and drop the files to the interface as well. Step 2: Edit MKV videos (optional). 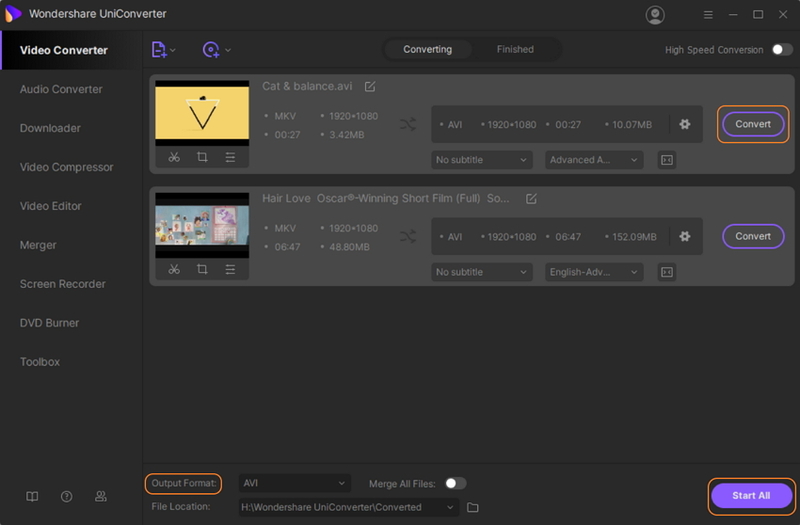 Wondershare video converter MKV to AVI also supports video editing through its in-built editor. Click any one of the icons- Trim, Crop, and Apply Effect under the video thumbnail to open the editing window. 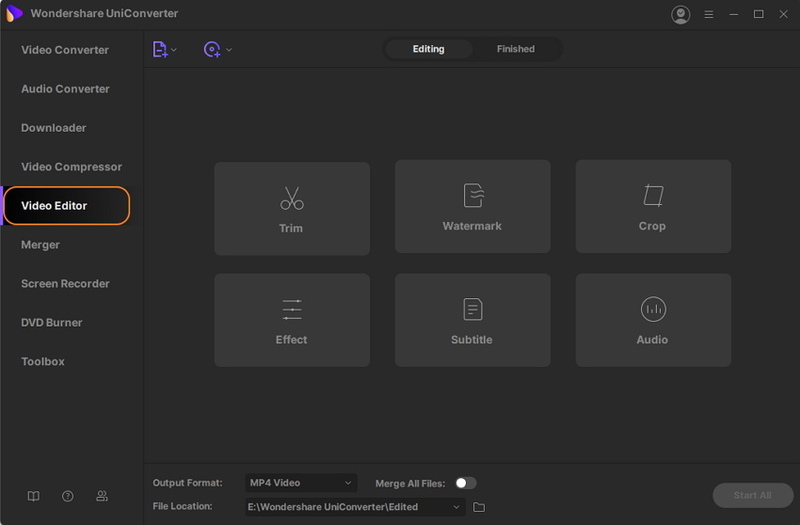 You can crop, add subtitles and perform other functions on your MKV videos before conversion. This is an optional step and can be skipped if no editing is required. Step 3: Choose AVI as output format. Next, you need to select AVI as the output format. Click inverted triangle at the top-right corner to open a pop-up window. Select AVI format and desired resolution under the Video tab. 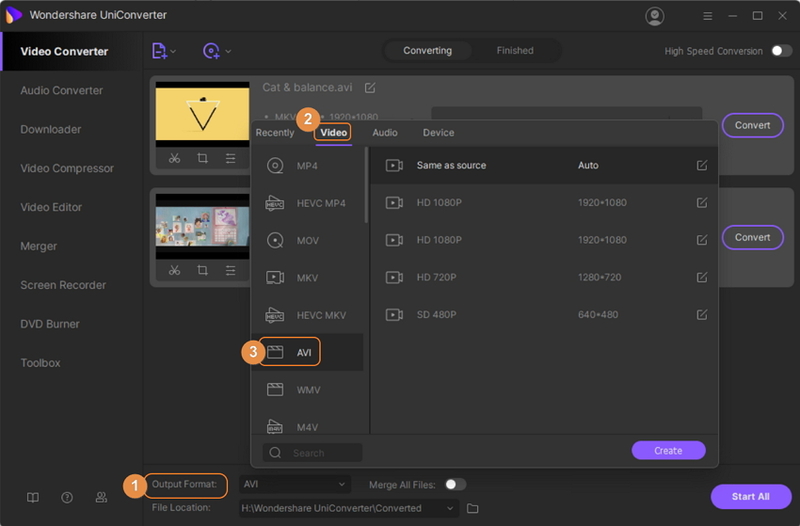 To further customize the video, click +Create Custom that will open the Setting window to change bitrate, frame rate, resolution and other values. Hit Create to confirm the changed values. Step 4: Convert MKV to AVI. Finally, select the location on PC where you want to get the converted file at the Output tab. Hit Convert All to convert MKV file to AVI. Considering the ease of use, quick speed, and excellent quality output file, Wondershare UniConverter (originally Wondershare Video Converter Ultimate) can be said as the best MKV to AVI converter.